One of my favorite pages on Funny Or Die, the online comedy collective launched by Will Ferrell and friends, is their hilarious send-up of listicles. You know listicles – those ubiquitous numbered lists that grab eyeballs by hitchhiking on a sub-culture’s favorite passion. They’re definitely a favorite in Healthcare IT. While most digital editors can only dream of having the freedom to post 10 Photos That Will Make You Question Why You Are Wasting Your Time With This Slide Show, or 10 Pictures of Adorable Cats That … I’m Pretty Sure There’s Something I Needed to Do Today, you can bet at least one listicle has made their Top 10 Best Story Ideas list. Personally, I’m no fan of the genre. Listicles may make for easy reading (or more likely, skimming) but they also minimize the qualities that make good journalism such a joy to read. Insight. Perspective. Intelligence. So no, I’m not a fan of listicles but there’s no denying their amazing power to hook readers. Which is a long-lede way of explaining why I’m writing a listicle on journalists for this blog. How else was I going to get you to read about some of my favorite journalists in healthcare IT? Journalists: The cats of the PR world? No, we don’t spend our evenings surfing for videos of journalists toying with a rubber mouse or playing a piano (that’s the other species of cat). But all of us who work in PR are fans of journalists, sometimes adoring fans. And not just because we rely on them to tell our clients’ stories. We’re fans of journalists because we love good journalism. In fact, many of us used to be journalists ourselves and some of us would return to the business in a heartbeat if we could. So just for the fun of it – and because journalists don’t get enough recognition for the work they do – what follows is perhaps the first-ever list of the most interesting trade journalists in healthcare IT. It doesn’t pretend to be an exhaustive list. I left out the Steve Lohrs and Vanessa Furhmans of the world because I wanted to focus on the trades, not the New York Times and Wall Street Journal. And I ignored the Matthew Holts and Anthony Guerras of the industry because I want to save “The Best Bloggers in Healthcare IT” for another post. Time was also a handicap. I had to change the title from “The 25 Most Interesting Journalists in Healthcare IT” after I realized completing the list would require giving up my day job. So there are only five for now. Don’t be surprised if you check back next month to find 10 or 15. In the meantime, these five are simply those who first came to mind, based on 12 years of working in healthcare IT as both a journalist and PR pro. Elizabeth Gardner, Health Data Management, others – Elizabeth is a true veteran of healthcare and health IT reporting, having launched her career in 1987 as a technology reporter for Modern Healthcare. She moved on from healthcare to help document the development of the Internet as a writer for Internet World. A graduate of the Columbia University School of Journalism, Elizabeth spent the early 2000s covering micro- and nanotechnology as a contributing writer for the magazine and website Small Times (which she calls “one of the greatest titles ever dreamed up for a business publication”). But healthcare is the biggest and perhaps most interesting market in America. Elizabeth was drawn back into the field and today contributes regular stories to Health Data Management. Her articles are inevitably well-researched, thought-provoking and most of all fun to read. Several have been finalists for the Jesse H. Neal Awards from the American Business Media Association. Bernie Monegain, Healthcare IT News – Bernie is the former editor of Healthcare IT News, now the magazine’s Editor At Large after moving to North Carolina, far from the publication’s headquarters in Maine (yes, Maine, that center of all things tech). Everyone in HIT PR knows Bernie. She’s among the nicest human beings you could imagine meeting, a quality that enlivens her relationships even with PR folks, despite the fact that we all want something from her (a story!). Bernie joined Healthcare IT News when it was launched in 2004, after a four-year stint at another business publication that focused on communications technology. Before that she was an award-winning reporter – and later a city editor – of The Times Record, a daily newspaper in Brunswick, Maine, where she reported on healthcare, business, technology and other topics. Neil Versel, MedCity News – Neil started covering health IT as a freelancer in 2000, before the “industry” was an industry. Through skill and persistence informed by a deep curiosity about healthcare technology, Neil gradually developed a reputation for intelligent in-depth coverage of the technologies that are transforming healthcare. A contributor to US News & World Reports, as well as Forbes.com, he was previously an editor for Fierce Healthcare. Neil has grown up in healthcare IT and is a genuinely nice guy. In 2014 he launched an 850-mile charity bike ride in honor of his dad, Mark Versel, who died of the rare disorder multiple system atrophy (MSA). Neil’s blogs from the trip were inspiring to anyone who has ever wanted to do something meaningful in memory of a loved one. Eric Wicklund, mHealthIntelligence – Like several others on this list, Eric paid his dues in daily journalism, working his way up from beat reporter to columnist to managing editor of the Biddeford-Saco-Old Orchard Beach Courier in Maine. His proximity to the Portland, Maine headquarters of Healthcare IT News probably explains how in 2006 he ended up writing and editing for the publication (though I’ve never asked Eric how that happened). Eric rose to be editor of Healthcare Finance News (another HIMSS Media property) before moving into coverage of telemedicine as editor of mHealthNews (ditto) and finally departing the Mother Ship in 2015 for rival XtelligentMedia, where he’s editor of one of what is fast becoming one of the most interesting sites in mobile healthcare, mHealthIntelligence.com. Beyond journalism, Eric is a Dad, an avid soccer player, skier and bicyclist who for years was a team leader and board member of the American Diabetes Foundation’s Tour de Cure. Do you have favorite industry journalists of your own? Please help add to this list by leaving a comment. It’s a great day at the office. Your sales team inks a deal with a major client. Your development team tells you that a recent implementation has been an earth-shattering success. An industry-renowned customer casually mentions to your CEO that your company’s platform should be an industry standard. 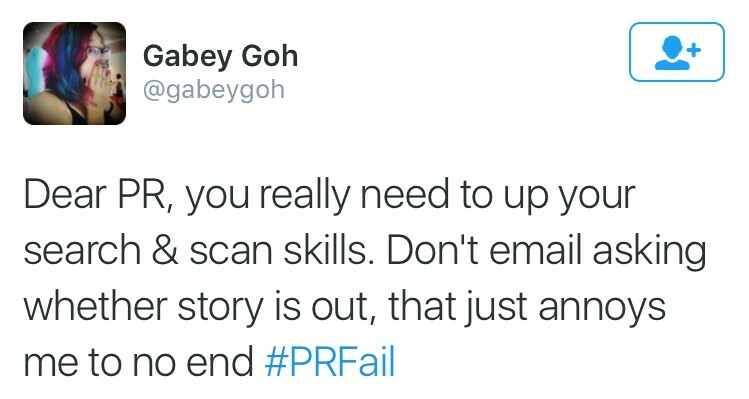 You fire off an email to your PR agency and the machine is set in motion. Press releases are drafted. Media alerts are sent. A steady cadence of pitches for bylines, case studies, and interviews land in the inboxes of scores of reporters and editors. Momentum begins to build. You turn to your marketing team to begin coordinating strategy with your PR team, when suddenly a single e-mail or phone call brings the entire endeavor to a screeching halt. Your customer—the shining example of your company’s efficacy in a fiercely competitive marketplace—can’t or won’t do a press release. Previously unknown policies against speaking to the media begin to pop up. Oh, and about that opportunity to co-present at a major healthcare conference—yeah, turns out they will have to pass on that, too. So sorry, but perhaps they can do… something… as long as it is stripped of any quotes, endorsements, or mentions of the client. A healthcare vendor’s clients are a critical and bountiful resource for your PR and marketing program. They offer third-party validation for the efficacy of your solution within the industry. They act as vendor-neutral sources for editors and reporters in the trade and business press. They provide real-world solidity to the larger trends and narratives impacting healthcare in the United States. Though your clients may understand the value they could bring to your PR strategy, that doesn’t mean they will go along with it. Communication with a healthcare vendor’s clients about PR initiatives not only clears up misunderstandings, but also helps establish with your client boundaries and a level of comfort about deliverables being created with their name and reputation affixed to it. Reach out to their PR department. A big part of PR is relationship building. A quick huddle with your client’s PR or corporate communications department and agency is great for setting boundaries about what they will or won’t participate in. Consider contractual language. Speak with your sales and legal teams. Do you contracts include any language about PR participation? Most client would understandably balk at being required to participate in a full-fledged PR campaign, but many contracts have a line or two mandating that a press release be distributed within 60 to 90 days of signing the contract. Introduce your agency. 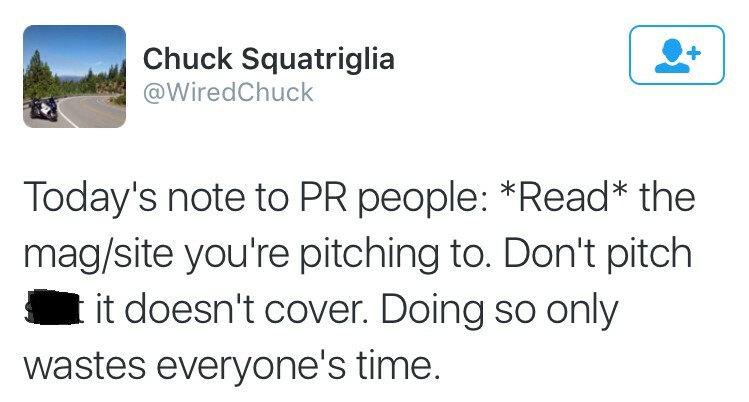 You know and trust your PR agency—but that doesn’t mean your client does. A quick meeting between your agency and your client clears the air and ensures that everyone is on the same page. Share your plan. Any client who is participating in your PR efforts should have a voice in the actual strategy and tactics. This thinking goes beyond press release approval. It includes how and when they will be positioned and prepared for media interviews, speaking engagements, or other opportunities. Establishing a regular cadence and open line of communication with a healthcare vendor’s client’s marketing and PR team ensures that you both make the most of your public relations efforts. As for finding this perfect PR match, it’s a lot like real life dating. Sure, an online search can reap lots of possibilities, but referrals from people you know—and who know the other party—are often the most effective way to find the agency just right for you. So be sure to ask your colleagues, strategic partners and industry editors who they’ve worked with in the past. After you’ve identified a viable candidate, do your due diligence to confirm it really is a match made in (business) heaven. With 25 years of experience running a successful PR agency, I’ve narrowed this vetting process down to 7 key factors. Do you need an agency with experience in multiple verticals or do you want an agency in a specific market niche such as healthcare IT (HIT)? With the latter, you’ll get knowledge that’s both broad across different niches within that space and deep—a combination which uncovers many more messaging opportunities and angles. Such an agency is going to have more relationships with HIT media and digital influencers, along with media experience and skills in national and local markets. But don’t just take the PR agency’s word for how experienced its team members are—find out how long the agency has been in business and be sure to review customer case studies. If possible, seek a conversation or two with the agency’s clients. It’s amazing to me that some companies, even really small start-ups, think they need a “large” agency to succeed–the “nobody ever got fired for hiring IBM” mentality. I have heard so many clients and prospects describe their experiences working with a large PR agency and their inevitable discovery that the agency viewed them as one of the smaller fishes in the pond. How much attention do you think these companies ended up getting? There are some companies who start with a small or medium PR agency and then become so big that they do in fact need a large, global partner or multiple agencies—and very often, it was the dedication of an independent agency that helped get them there. So when it’s time to hire your next PR agency, make sure to scope out how much personalized attention you’ll get. Ask how many people will be on your team, and their different levels of expertise. Find out their roles and responsibilities and get a good sense of how much access you’ll have to each one. In the old days before email, Skype, web conference calls and the like, companies largely felt they had to work with agencies in their town or state. But that’s no longer the case. Today companies can communicate and work with any agency in the world, meaning they have exponentially more agencies to choose from. Of course, time zones are a consideration, so you’ll want to seek a PR agency with staff located in all zones. But aside from that, you now have so many more agencies to choose from. So many choices can be overwhelming, so again—narrow them down by how well an agency meets the criteria I’ve outlined for you. It really does work! It’s so much more convenient to work with an agency that offers a roster of services that clients can choose from, either a la carte or integrated. Look for a PR agency that can offer media relations, social media, PR strategy, content marketing, digital marketing, and writing—at a minimum. Ask about their connections with video production firms, graphic design and other auxiliary creative services. An experienced agency will either offer these services themselves or have numerous connections on hand they can refer you to and work with on your various campaigns. On the subject of agencies working with other creative groups, choose one that can collaborate—not compete–with your existing agency partners. This is important for integrated campaigns that are executed by multiple agencies to actually work. Here’s something you might not discover until after you sign the retainer contract with some agencies: very often the high-level execs you met at the presentation aren’t the team who will be working on your account. That’s unfortunate, because experience and compatibility matter. Ideally, at the initial presentation at least one of the people who will be on your team should be there. Do you feel a connection with them? Are they someone you would enjoy working with on a regular basis? Remember—this is going to be a close relationship. There are days when I speak with my clients more than with my own husband! When evaluating agencies you will want to compare apples to apples in terms of services, quantities/deliverables, etc. Are you going to engage in an annual retainer program or a PR project? Will you be billed by the hour or by scope of deliverables? Based on my experience, the latter will get you more value. Teams won’t be clocking out the second your hours for the month are used up; instead, they’ll work tirelessly to successfully execute your campaigns with no limit to the time they put in. Most PR agencies, if they have hit your top 5 or 10 list, are probably going to be solid contenders. They can all probably write a solid press release and know the nuts and bolts of working with the media. But hone in on how they’ll work with you. Zero in on the fit. Does it feel right? Is this the company that you want to serve as an extension to your own team? As with all other relationships, this comfort level is the key to finding your PR agency soul mate. 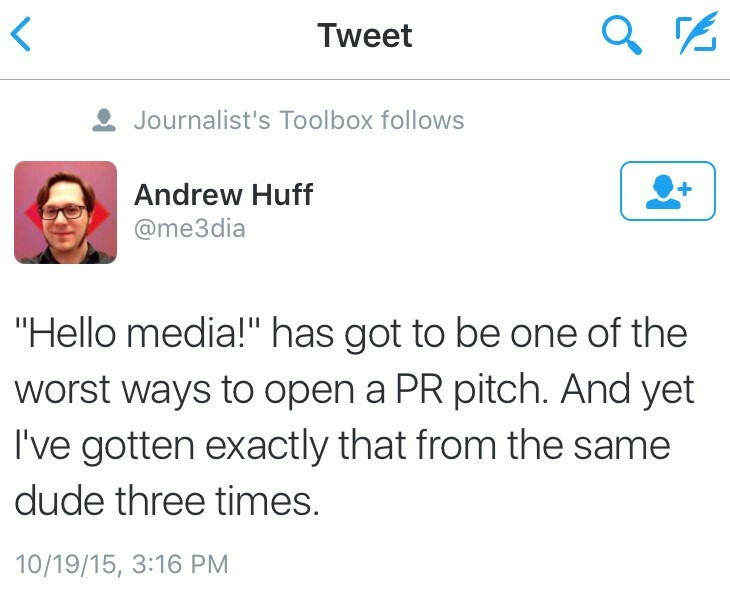 The success of any PR pro hinges greatly on their relationships with journalists. These relationships do not occur overnight, and are gradually built on trust, respect, an understanding of journalists’ needs, and their knowledge of the industry. But as anyone in PR knows, that magic formula doesn’t lend itself to every press release, product launch or client award. That aside, understanding a few basics and avoiding some of these “loathsome” PR practices will help foster a positive, ongoing media relationship and save your reputation in the process. Be cool. 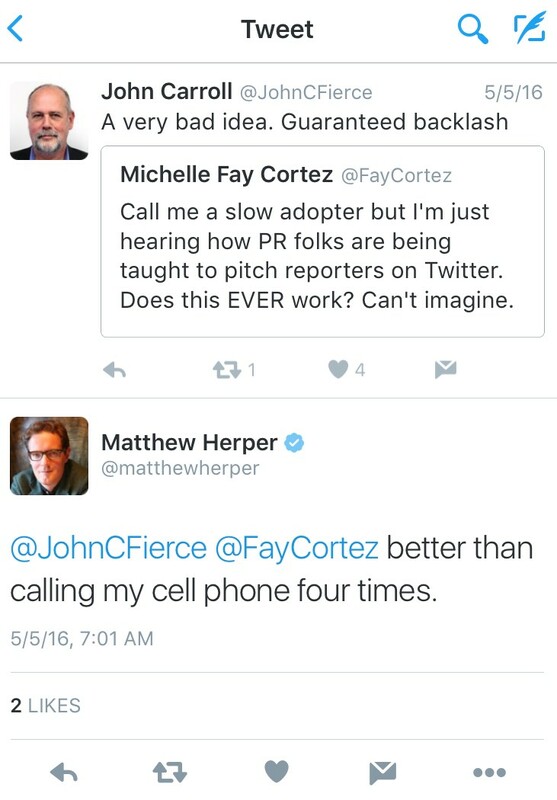 “So, did you receive my email?”Don’t call a reporter an hour after you sent an email to follow-up. Journalists are under enormous pressure and numerous deadlines on any given day, so allow ample time between sending a pitch and calling. Chances are, if you didn’t receive a bounce back, they received it. And if the pitch is relevant (and interesting), you’ll hear back. Don’t spam. Nothing makes journalists madder than mass emails. Sending multiple pitches and pitches via a database system can be dangerous. Spend the necessary time to send personalized, targeted pitches and keep track of those you’ve reached out to. Do your homework. Sending every release to every reporter in the abyss is a no-no and a sure-fire way to be blacklisted. Only send your press release to those contacts with a definite interest in the subject and industry. 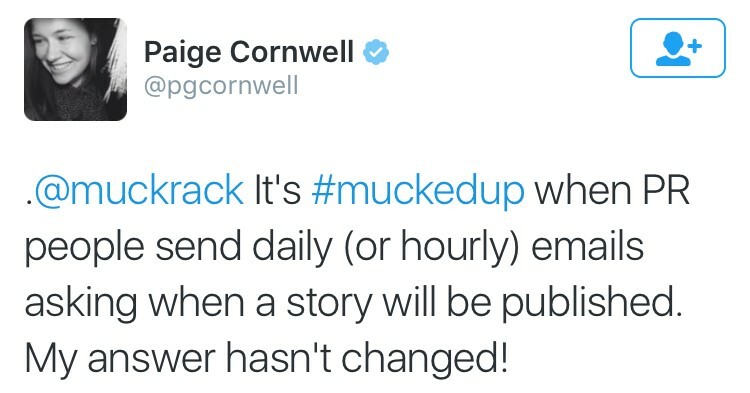 Don’t ask when the story is going to be published. Your client just finished a great interview and you end the call with, “when can we expect to see to this published?” Blah. Reporters typically don’t have control over publishing and are working on several stories a day – including breaking news. Make use of Google Alerts and be sure to check the news outlet several times a week to monitor the article. If a month or so has passed since your client’s interview, then you have the green light to make a follow-up inquiry. Don’t quote anyone that can’t be contacted. If you are sending out a release that includes quotes from the company’s CEO, you better make sure he’s available for interviews the same day. 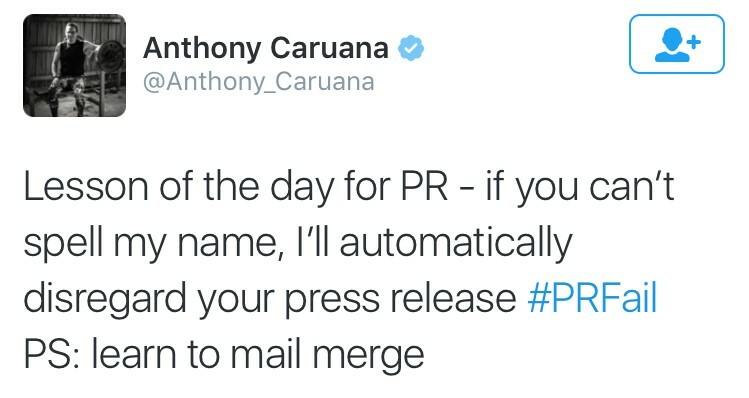 Don’t send a press release, then go on your lunch break. Do get their name right. Don’t contact a reporter by phone, LinkedIn or Twitter if you know they prefer email. Use their preferred method of communication and stick to it.